The mighty Megatron is back… with a super-special paint job! 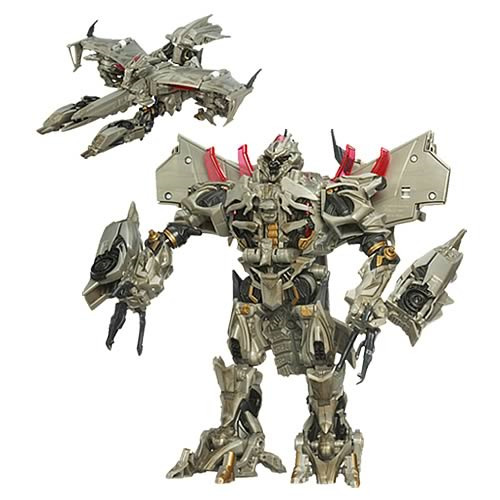 Featuring Automorph action, this mind-blowing robot stands over 10-inches tall and transforms into an unbelievably cool Cybertronian plane and back again, just like in the blockbuster Transformers movie. Jam-packed with features and action, the vile machine is an intergalactic despot that brings fun (and despair) to kids (and robots) of all ages! You're next. It's your turn for mega-fun with Megatron!